Back at the start of the year, I fell down the YouTube black hole that was all things minimalism and zero waste. I watched hours of videos about decluttering, simplifying, and reducing our impact on the planet and it gave me far too much to think about. One thing that kept being repeated was this; you can’t become a minimalist overnight. You can’t become zero waste overnight. So many people tried to cold turkey their way in like this and failed within days. In fact, it can take years. Years of small steps that eventually lead to a simpler, decluttered, planet saving lifestyle. One of the first teeny tiny steps I’ve taken in a bid to live a little more minimally was to invest in a safety razor. 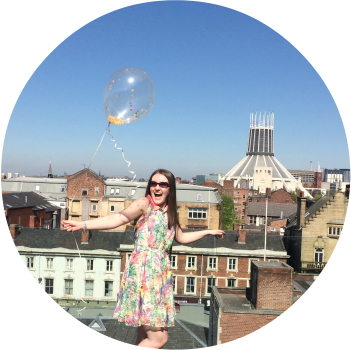 I’ve been using mine for 3 months now so figured it was time to have a little chat about it. Go get that kettle on and get comfy! When it comes to minimalism, I think replacing (or not as the case may be!) one thing at a time is the easiest approach. Same goes for wanting a more ethical, cruelty free skin care regime - I’m not about to throw out everything I own and start again, financially this would ruin me and just how wasteful would that be as well? At the time, I was about to go out and buy some new razor heads for my very plastic, very not-so-planet healthy razor. 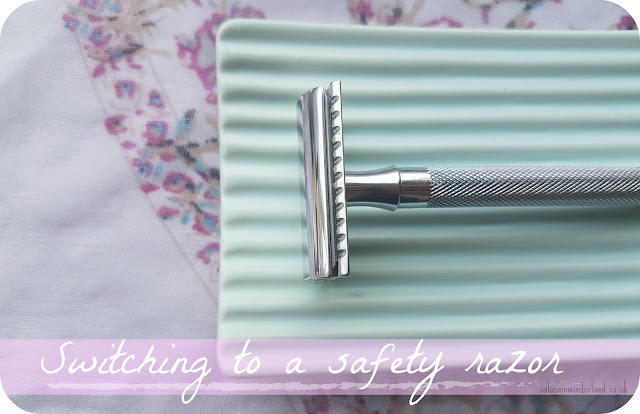 I’d seen so many people online talking about switching to a safety razor so I did a little research. Safety razors are stainless steel razors that have one, double edge blade and a guard to reduce the risk of cutting. Most disposable razors are 3 - 5 blades, selling themselves as the kings of close shaving, but do we really need more blades to get a close shave? I used to think so! Stainless Steel safety razors have been around since the 1800s - still going strong they must be doing something right? I’m not going to lie, when the razor first came I had my doubts - had I really just spend £30 on this Victorian looking tool of torture? So many people talked about how they cut themselves a lot when they first started using theirs. The head itself is really weighty, I was worried about applying too much pressure and peeling like a potato skin (there’s an image for you!). It took me a few goes to get the hold and the angle right to actually get a shave on my legs but once I stopped thinking and worrying so much, I just held it like a regular disposable razor and hey presto! The weight in the head means you have to apply very little pressure. I have really dark, thick hairs on my legs so I was convinced a single blade wouldn’t cut it (I'm hillarious, I know), but as long as I don’t rush, I rarely have to go over the same area twice. The double edged blades seem to be a lot sharper than disposable ones. Not having to go over the same area twice has reduced any and all skin irritation, razor burn and ingrown hairs! As shaves go, I’ve got to admit, it feels really close. If I rush, I don’t get as good a shave. I’ve also found it works better when I use it every day to every other day, once the hairs start getting longer than that (I’m like part Chewbacca, those buggers grow back fast!) I find the shave isn’t as close. I’ve played around with a few suds and bubbles and found that thinner shower gels work best as a shaving barrier. Soap & Glory’s Clean On Me has by far been the most successful as it doesn’t clog the razor blade and rinses out quickly. I did give L’Occitanes Shea Soap Bar a go but it caused the razor to stick on my legs, so instead of a smooth upward motion it was dragging and stalling like a learner driver on a hill start. This was also the only time I’ve actually cut myself since switching to the safety razor! When it comes to the blades themselves, I couldn’t get my hands on the popular Astra ones at the time so I picked up a packet of Boots own razor blades - 10 blades for £2. I’ve only had to change the blade once since March! Seriously! And this is daily shaving of both my legs and underarms. 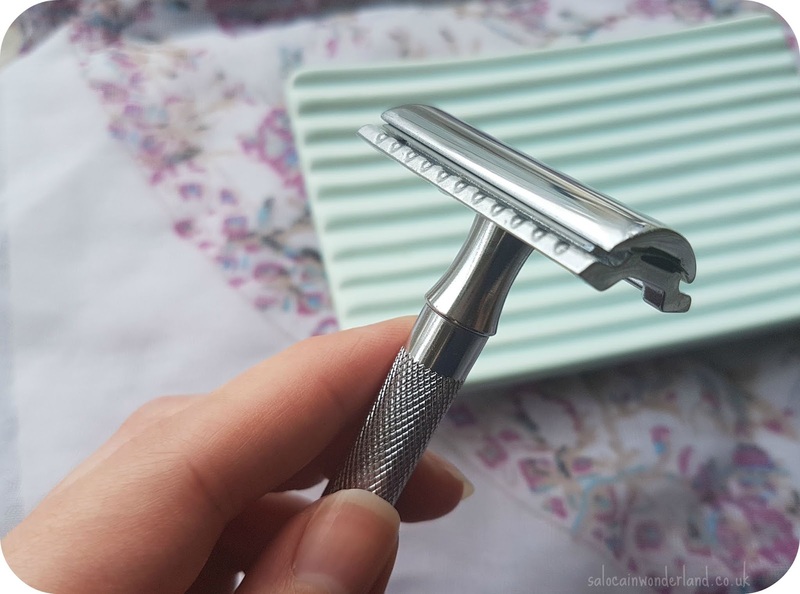 My old disposables would last me a month at best, and when you’re looking at close to £10 for 3 razor heads, well, the savings speak for themselves. I’ll easily get a year out of this pack of blades - and can buy 100 for less than £10 once they run out! The safety razor itself should in theory, last me a lifetime. It’s made entirely from stainless steel, so as long as I dry it off properly and store it safely, I will never have to replace it! I am a bit worried about travelling with it, but I’ve seen a fair few backpackers taking them around the world in their hand luggage and very few seem to have any problems - so I’ll report back the next time I get on a plane! I am literally telling everyone I know to sack off the plastic razors and invest in a safety razor. Initially, it’s a fair bit more expensive than your disposables but in my opinion it’s well worth saving up for - the savings in the long run will have it paying for itself in no time at all. I don’t even know what to call this journey I’m on, but this is the first step and it’s been a really successful one! 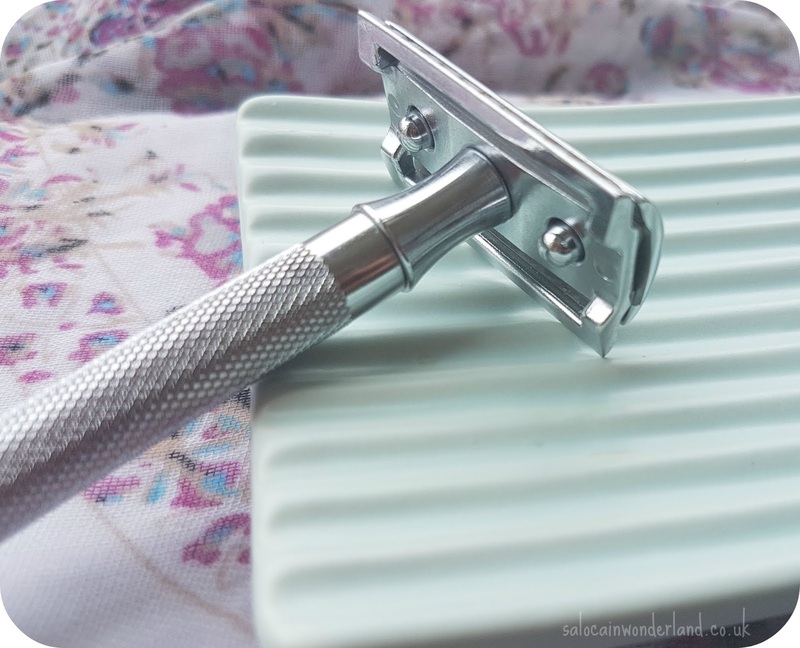 Would you ever consider switching to a safety razor? I feel guilty every time I use my disposables and ask if smooth legs are worth another drop in landfill. Since laser is way out of my budget this sounds like a great alternative! It would take me a long time to work up the courage to do bikini line though! Honestly, once you get to grips with the safety razor it's exactly like using a regular disposable razor! It sounds scarier than it actually is! I am SO in love with mine!